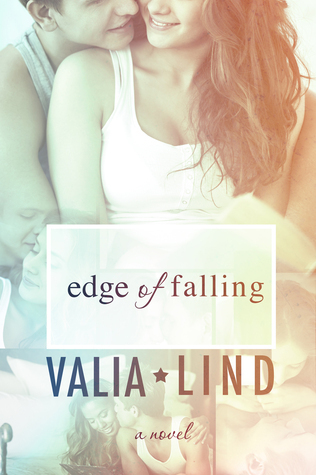 While it isn't absolutely necessary to read Falling By Design first, they can be read separately, I do believe you will enjoy Edge Of Falling more if you do. We met Chance and Dakota in the previous book and while I wouldn't call what they have a relationship or even a friendship, but whatever it is, it's volcanic. They are always at each other's throat, not in a hurtful way, though always pushing the other one's buttons. For Chance this behaviour kind of hides how he really feels about Dakota, which is almost an all consuming love. He knows though that she's not feeling the same, so it is safer to keep her at a certain distance. The danger of that is of course, having another boy being able to swoop in. Therefor it's up to us just to sit back, relax and see how this is going to play out and you know it's going to go badly. While Dakota might not fully understand how deep Chance's feelings for her run, she does notice a certain change in him since she has started dating the new kid Kyle. More importantly actually, she started noticing how she herself has been acting different towards Chance. He can still be very annoying, but now there seems to be something more. Still she's afraid of what those feelings might actually mean and it's that fear that keeps her holding back. Now Dakota is a pretty great character, but when it comes to how she acts towards Chance, she wasn't always my favourite. I had trouble understanding how crippling her fear of real love was, while seeing how much it hurt Chance. Dakota is a great friend and a pretty amazing girl, and while she gives great love advice to her friends she's not able to follow her own directions. This got a bit frustrating at times. Chance is amazing and any girl would be lucky to call him her boyfriend, unfortunately Dakota isn't one of them. Though in all fairness, he has never actually told her how he feels, so that definitely played a part in this. I could get his fear for rejection, but this standing on the sidelines isn't really working either. Then when he finally decides to make his move, he's almost too late. So this was a clear case of everyone could see what was going on between these two, Dakota and Chance just needed to go for it and don't let fear get in the way of what they want. Certain parts therefor did feel a bit dragged out, because I was frustrated and just wanted them to talk to each other or simply kiss and then all would be fine. Still overall a pretty good story with some very likeable characters and plenty of drama. Chance was definitely my favourite character here. Honestly that boy and puppies, will simply make your heart melt. Author. Photographer. Artist. Born and raised in St. Petersburg, Russia, Valia Lind always had a love for the written word. She wrote her first full book on the bathroom floor of her dormitory, while procrastinating to study for her college classes. 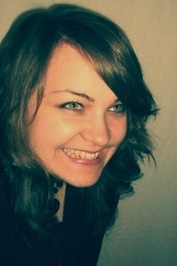 Upon graduation, she has moved her writing to more respectable places, and have found her voice in Young Adult fiction. 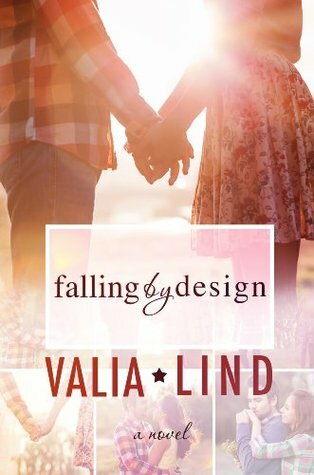 Falling by Design is her debut young adult novel.